Gilda Wright’s life seems to finally be on track. Her love life is looking up and she’s planning and promoting a grand opening extravaganza for Sensei Mick Williams’ new martial arts school. 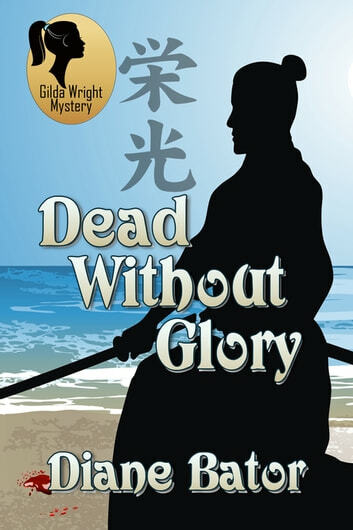 But things go awry when their special guest referee for the opening exhibition match is found dead on the beach. To make matters worse, the school’s new weapon’s instructor Kane Garrick, who is enough to make any woman lose her head and her heart, stands accused of his murder. In spite of her promise to Mick and nearly everyone else in Sandstone Cove not to get involved, Gilda wades into danger one more time. The only question is, can Gilda catch the killer before the killer catches up to her? I love the background of the Karate School. This is the kind of mystery series I really get into and this book didn't disappoint. A great cast of characters, a quirky heroine and a puzzle that takes a few weird twists and has me doing some serious figuring to get to the solution. Great mystery. Imprint: Books We Love Ltd.